One month after introducing southern Queensland’s revised Go Card scheme of ‘nine trips get one free’, the state’s government is claiming a boost in public transport patronage. 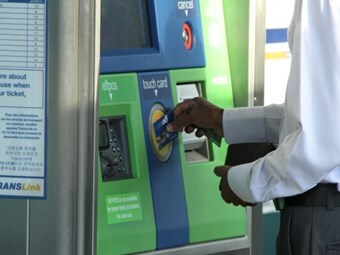 The TransLink network which operates Go Card recorded 500,000 free trips last week, just four weeks into the revised scheme talked up by Queensland Premier Campbell Newman. Transport Minister Scott Emerson says declining public transport affordability had been embraced by passengers. "All up passengers have saved almost $2 million in fares since June 25, delivering real cost of living relief for Queenslanders," Emerson says. He says the number of free trips taken within the seven-day window in which the passenger must take nine paid trips to get the tenth trip gratis, will rise with the return of university students for second semester. "We are restoring confidence in our public transport network by improving the affordability, reliability and frequency of public transport," Emerson says. During the January-to-March quarter, affordability of public transport dropped to an all-time low in Queensland – 45 percent on trains and 51 and 53 percent on buses and ferries. Under the nine-and-free scheme, Emerson claims a regular weekday commuter to the CBD from outer suburbs Oxley or Mitchelton will save up to $220 a year while customers travelling from Varsity Lakes on the Gold Coast will save up to $642 each year.